VeriCite DocumentationUser GuidesCanvas User Guide New Canvas Plagiarism Detection Framework Integration - Student ArticlesWhat are student paper matches? Student paper matches are sources where the student submission for the assignment matches another student paper in your institutional repository. VeriCite reports limit the information shown in matching student paper submissions to ensure that FERPA and other privacy regulations are strictly enforced. Students will not see any identifiable student data or text for the matching student paper; they only see that a student paper match has been found. By default, the instructor of the course in which the paper was submitted has access to all of the user and submission details, but other instructors at the institution see only that there is a match and the paper ID of the matching student submission. Privacy settings may be modified by the VeriCite Administrator at the institution. Student paper matches are indicated by the Student icon. Zoom: Student paper matches are indicated by the Student icon. 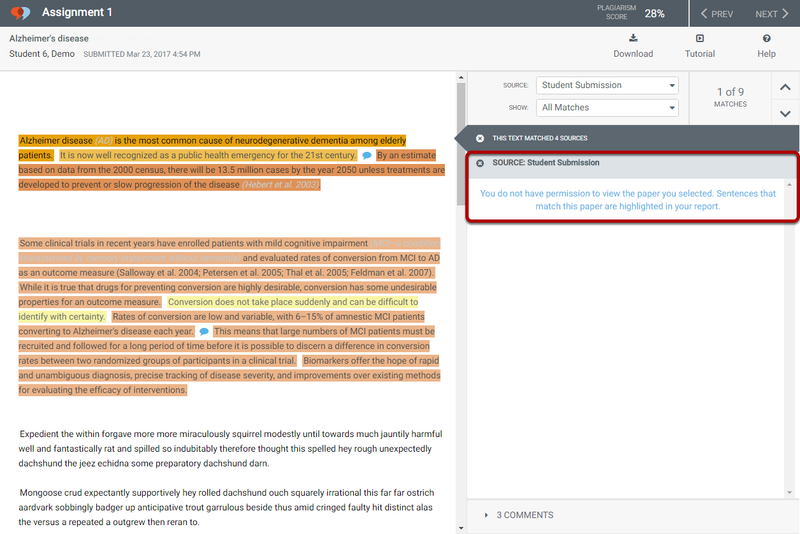 In student view, the source text comparison is not available for student paper matches. 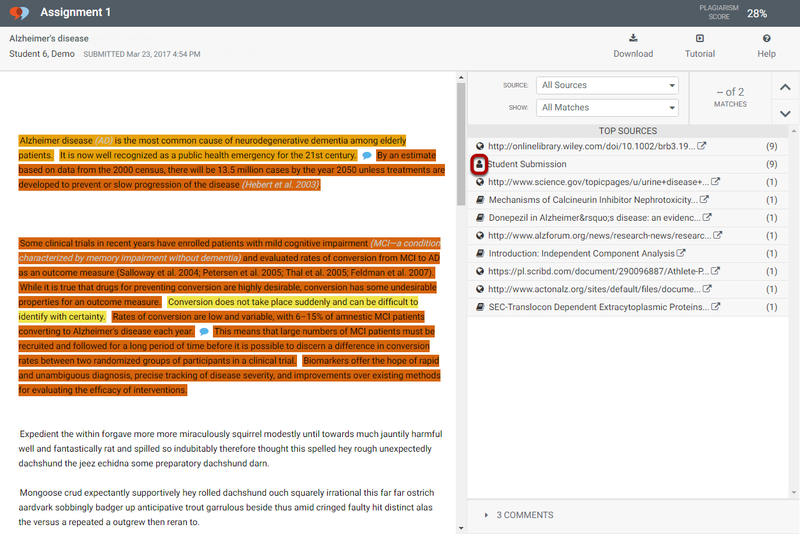 Zoom: In student view, the source text comparison is not available for student paper matches. Prev: How do I inspect an individual sentence? Next: What are internet matches?